If there is one The Lord of the Rings set that everyone is waiting for an official release it is Minas Tirith. 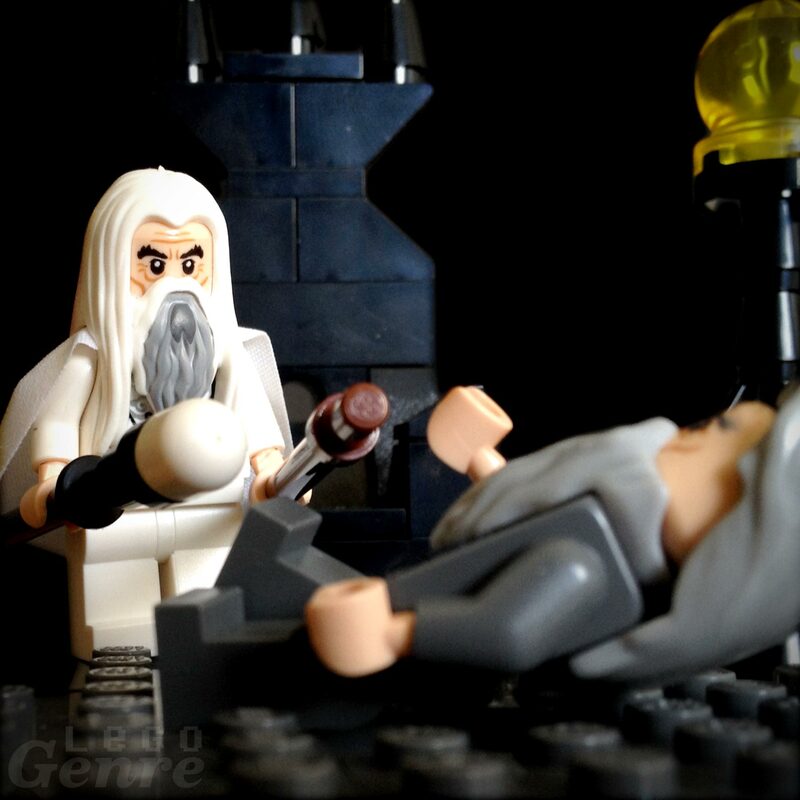 The problem is that almost any set that Lego designs will disappoint LOTR fans in some way. It will be either, too small and toy like, or small and expensive. 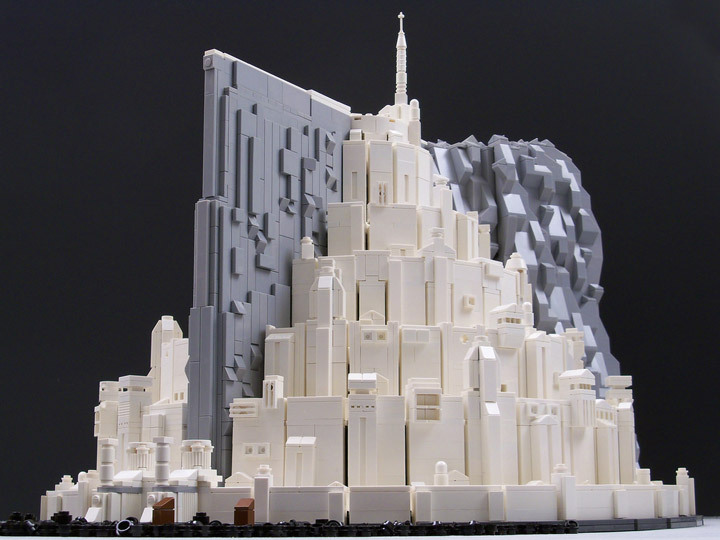 A minifigure scale version of Minas Tirith is just not feasible. 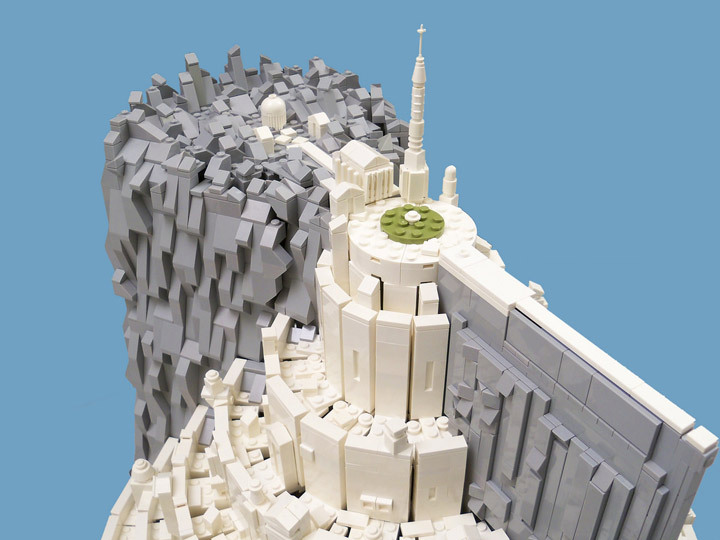 With this in mind, Flickr user, lisqr proposes a Lego Minas Tirith in micro scale. Even in the tiny scale this is a huge MOC at 65 studs across and 35 bricks tall. The gleaming white walls look ready to withstand any invasion. All the major details of Minas Tirith are here, the 7 ringed levels, the Citadel, the Tower of Ecthelion, and the White Tree. 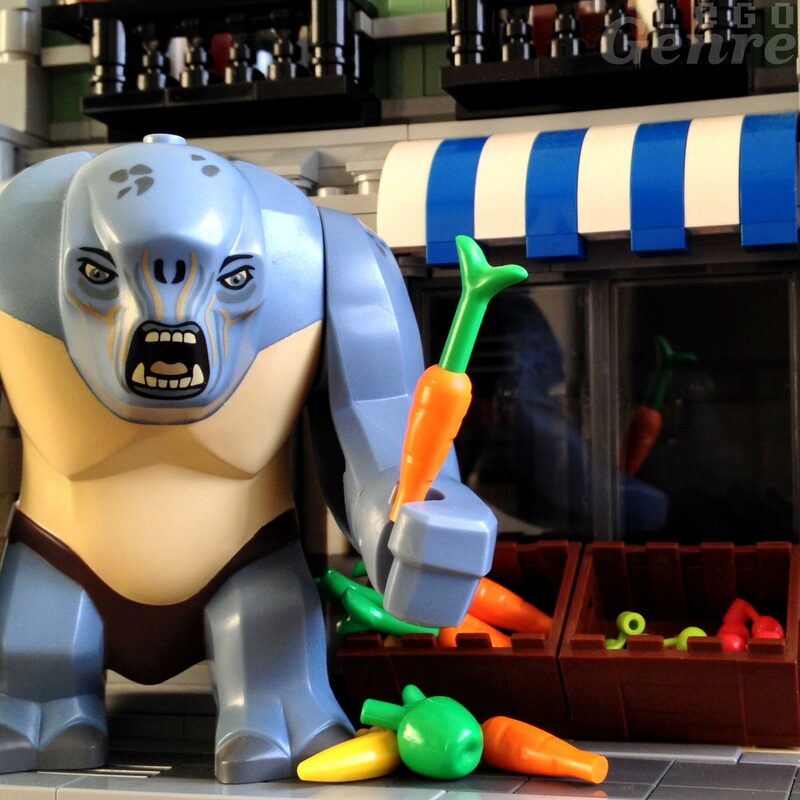 This Lord of the Rings influenced Lego Oliphant is the latest creation from Elliott Feldman. 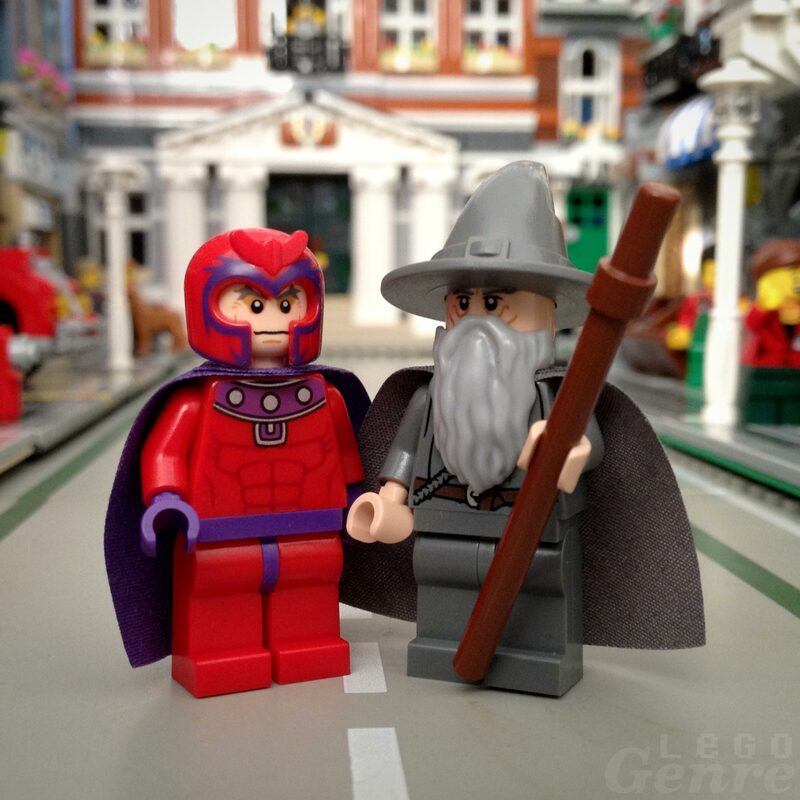 Everything is built in a Minifigure scale. Meaning that this Oliphant is huge. In fact the dimensions of this MOC are: 25 studs wide, 75 studs long, and 65 studs tall. 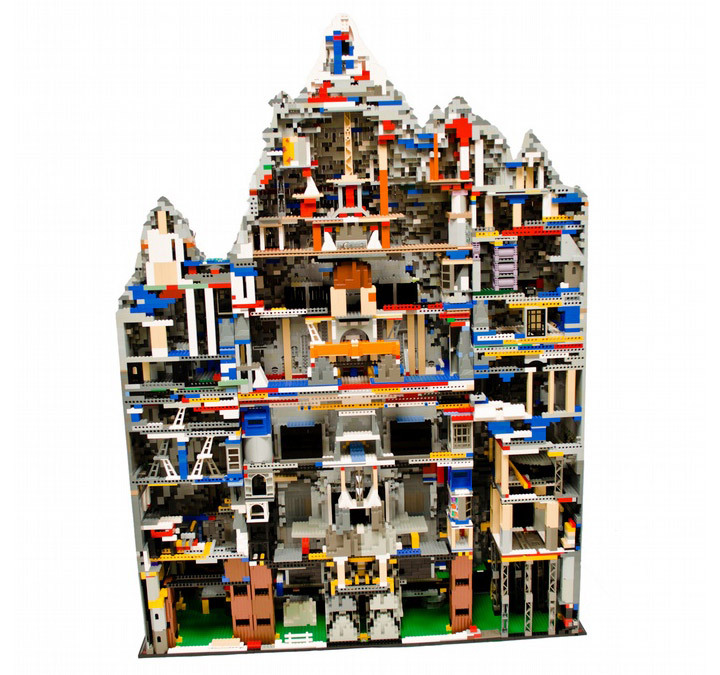 For comparison, a typical Lego Modular Building is 32 studs wide. The trunk and tusks of this Oliphant are extremely well made. Also, check out all the details on the tower. Some artistic changes were made, for instance the tower is built out of red bricks instead of the more accurate brown. This was changed due to a limited part selection in brown. But, the red might even be better. It adds a whole lot of contrast to the other colors, and really makes the tower pop out of the scene. 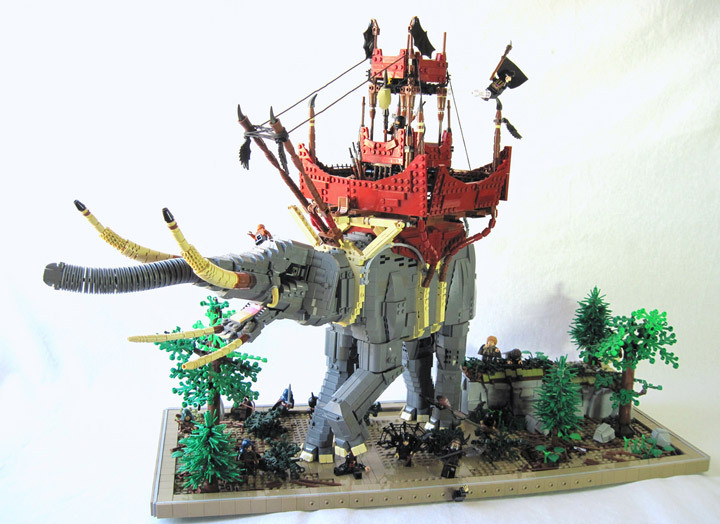 This Lego Oliphant was built for the Middle Earth Lego Olympics over on MOCpages. 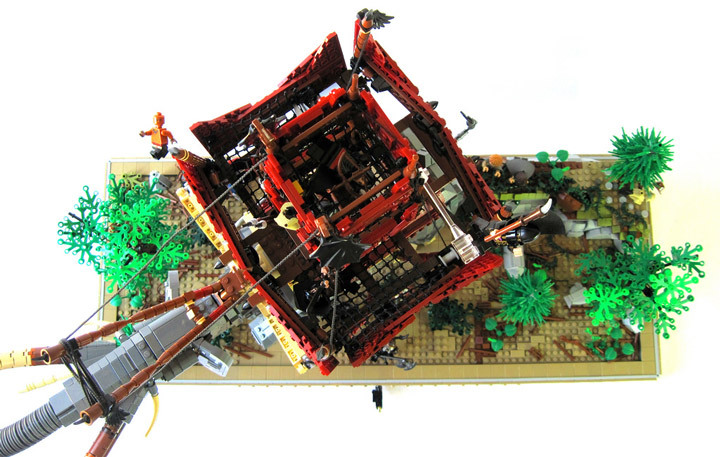 This is a contest between Lego builders centered around building Middle Earth themed stuff. 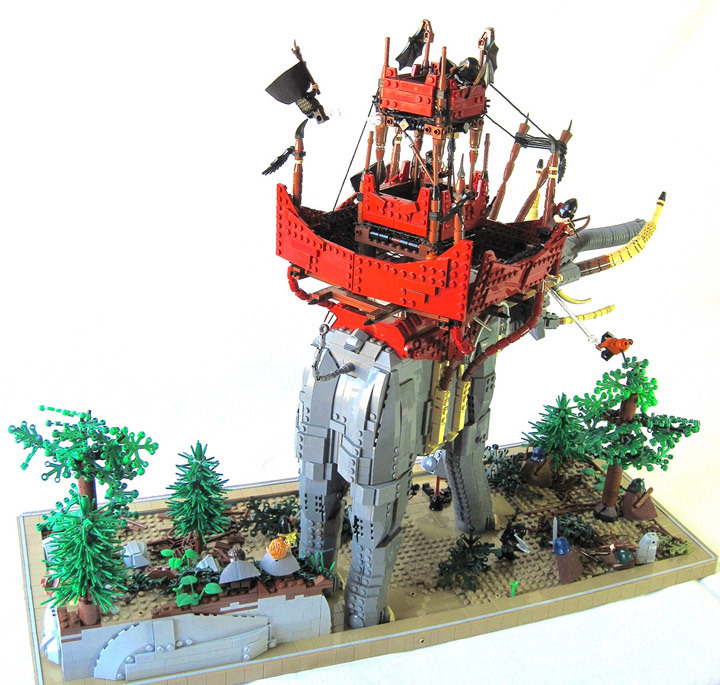 The Oliphant is an entry to MELO Round 3, and a part of the Orthanc Bracket. 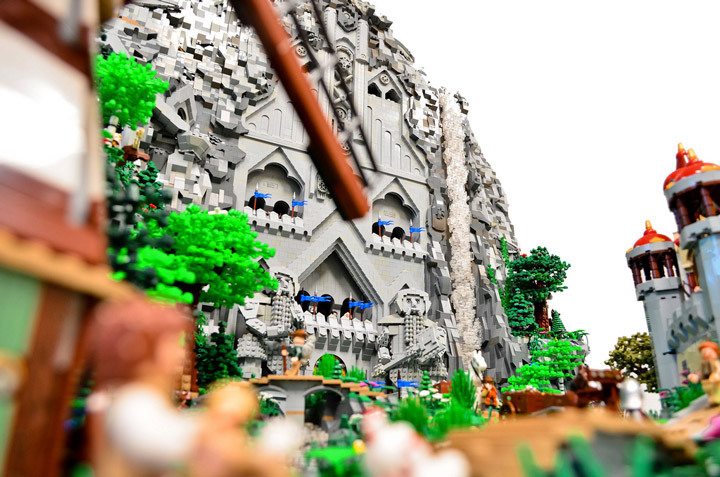 Make sure to check out all the details, such as Frodo and Sam watching from a nearby hillside. Gollum in the process of running away. AT-AT style controls for driving the Oliphant, and a hidden mini fridge for its passengers. 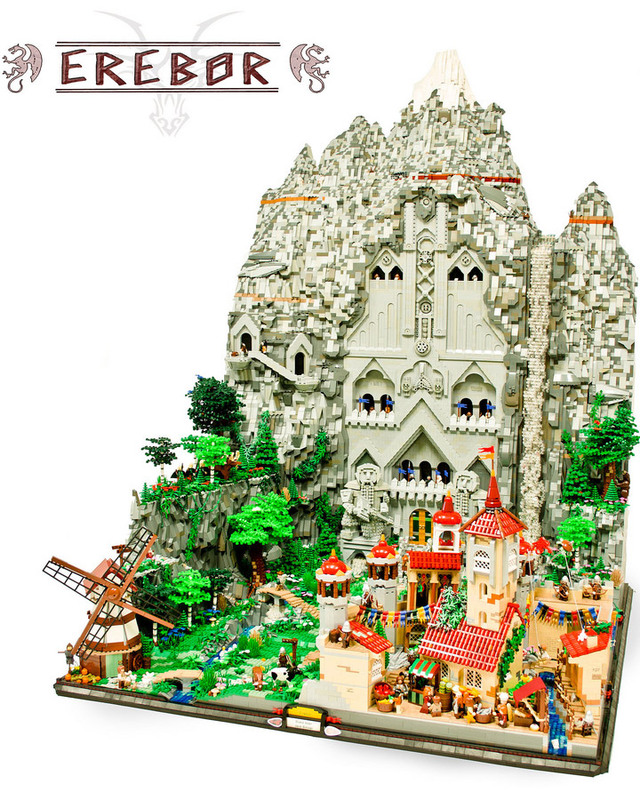 Erebor by Blake Baer and Jack Bittner. 80,000 Lego pieces strong. 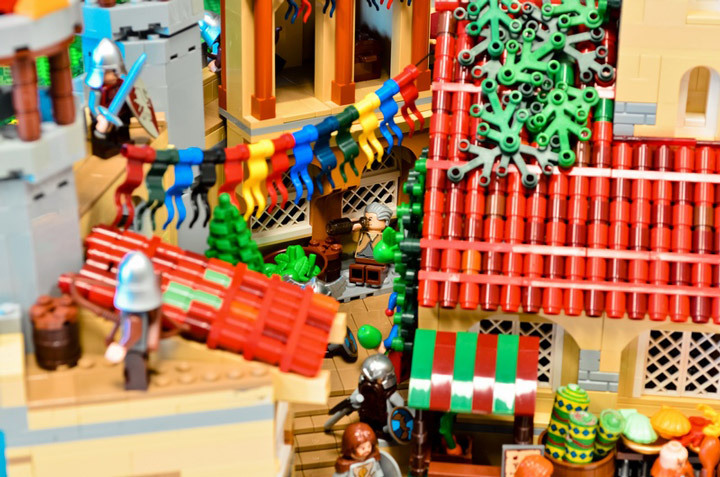 Blake Baer and Jack Bittner set out to create their largest Lego creation. The result is the super impressive Erebor. Based on J.R.R. Tolkien’s The Hobbit. 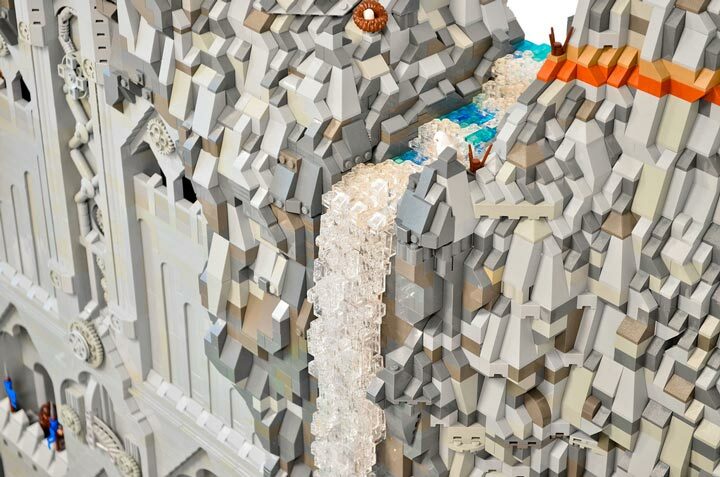 This massive Lego MOC is centered around a huge mountain and contains the main entrance into the dwarven city, a human city, a working windmill, and more details then you can imagine. 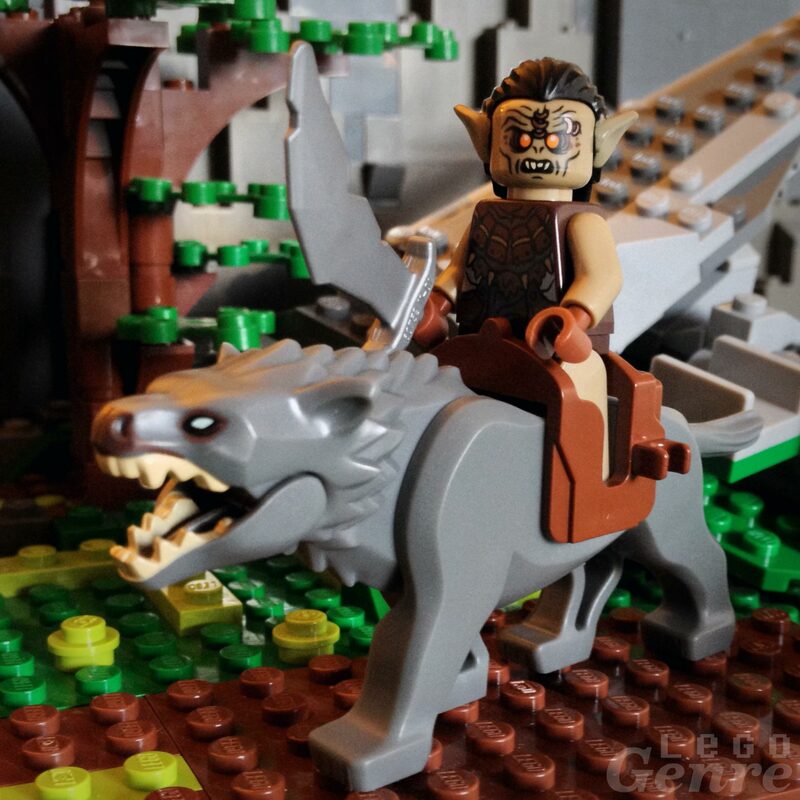 A total of 6 months went into this build, and 80,000 Lego pieces. With no dragon, this Lonely Mountain sure is looking very peaceful. The sheer size of Erebor is hard to capture with just a few photographs. Luckily, a video has been made to show off a lot of the features. A build this size needs a video. Here an overhead perspective shows just how large the exterior of this build is. 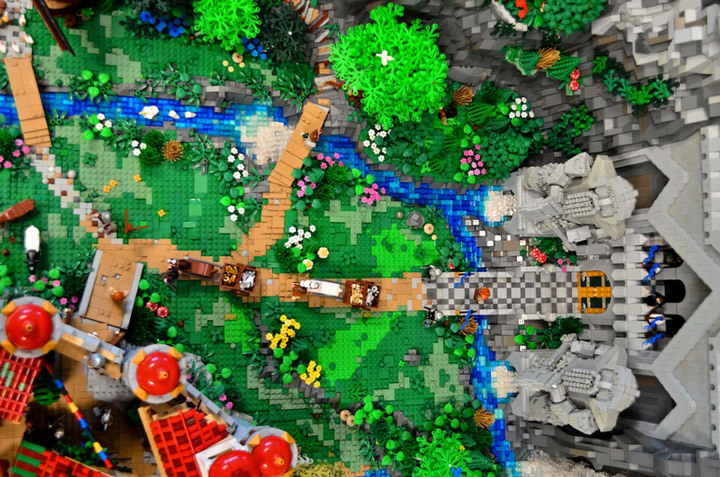 A huge river, three different roads, and a plethora of flora can all be seen from above. It feels like you are bird flying over everything. The tiny details give so much personality. From a tiny bird nest perched near the river, to an overcrowded market place. There is so much to look at. By taking these photos from a lower angle it allows the viewer to be drawn into the scene. 16, 32×32, baseplates in a 4×4 pattern. 56 inches tall at the peak. Modular, breaks away into 11 separate sections. One interesting thing about these massive builds is what goes into creating the illusion of a solid MOC. 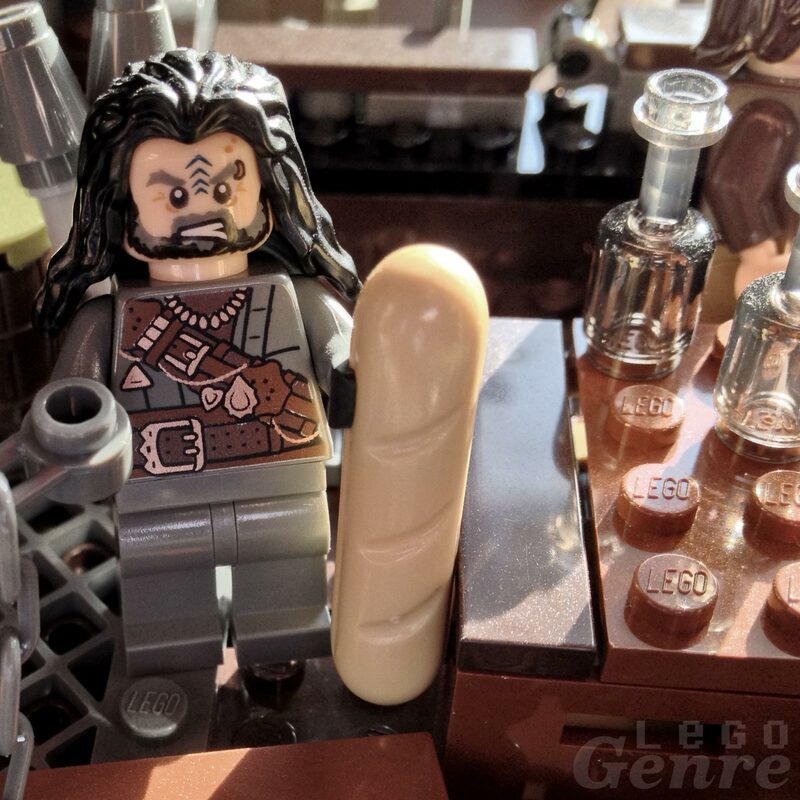 Usually Erebor will be shown in person with its back to the wall, so the hidden support structure will never be seen. This massive mountain is a technicolor hollow shell with many supports and miscellaneous pieces holding up the exterior walls. Amazing. 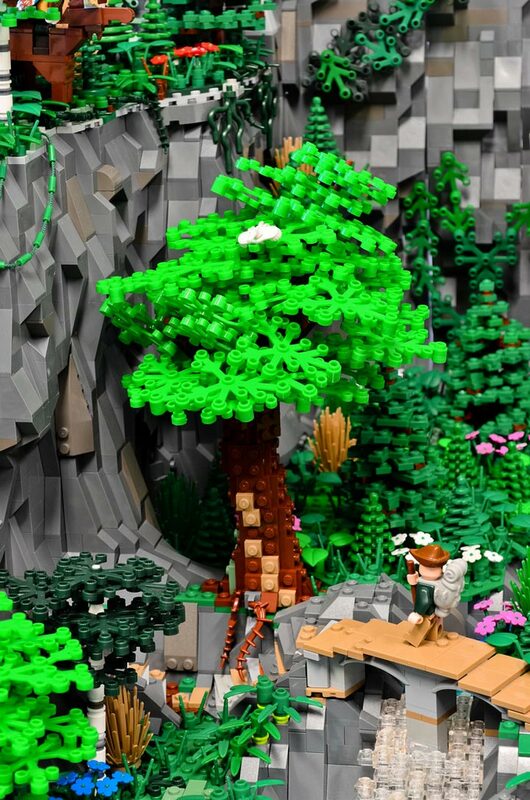 Lego Legolas and Tauriel are desperately fighting a group of evil Mirkwood spiders when Legolas’s biggest nightmare comes true. He is in the friend zone. What else is there to do then bury your feelings in a plate of Radagast’s Red Velvet Pancake Puppies®. 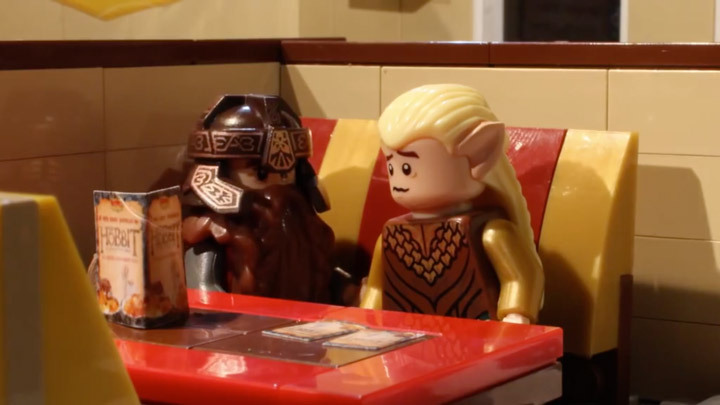 Legolas Gets Friendzoned is the creation of the Brotherhood Workshop, and features some extremely well made sets. 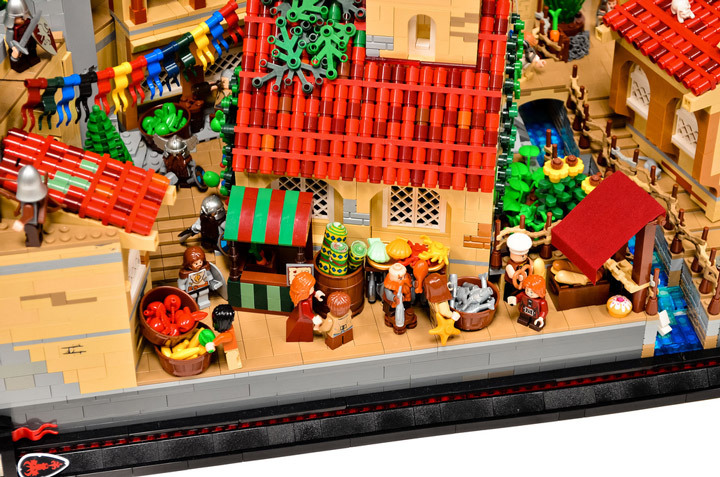 The Lego Dennys is especially nice. Everything has good voice work and spot on lighting. 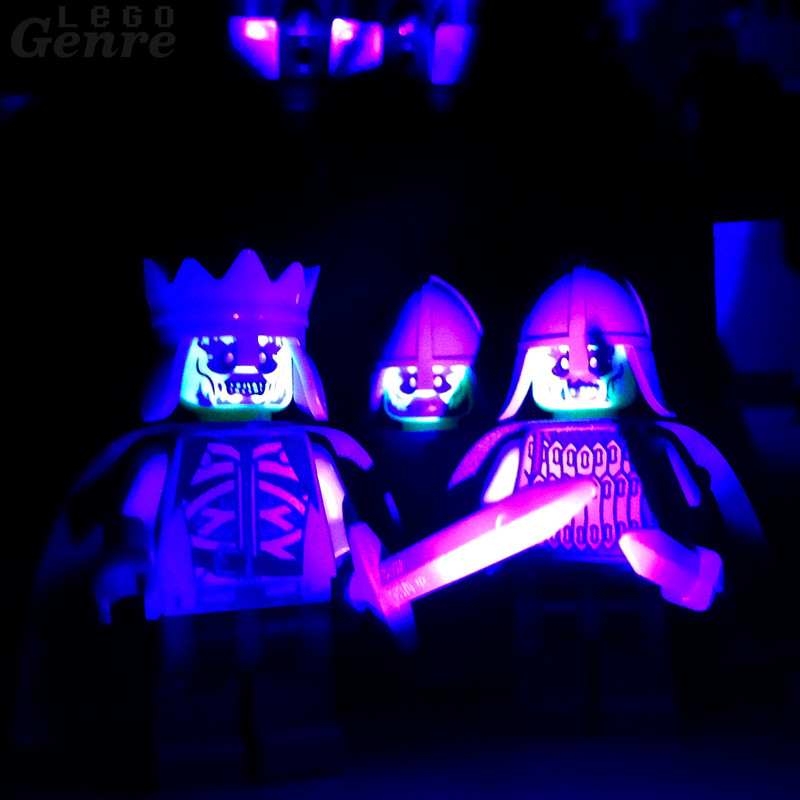 These Lego stop motion videos keeping getting better and better.